First, we'll learn out how to install Node.js on Linux, Mac, and Windows, as well as how to maintain different Node versions using NVM. We'll also build a basic HTTP server using Node.js. Download and install Xcode from the Apple website. For Xcode 4.4 and above, install the Command Line Tools from the Xcode → Preferences menu, in the Downloads tab. You can install Git via a package manager like Homebrew, or download an installer from the Git website. Thanks for the great screencast. Definitely looking forward to future casts. Thanks a lot. This is great and just the method I prefer to learn a new language/tool. Super helpful video and great way to learn the basics of node.js! Excellent!!! 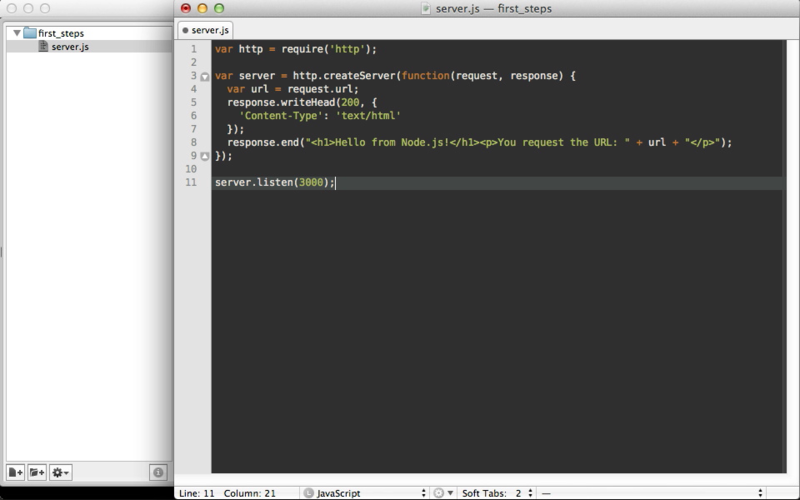 I'm really excited to learn about node.js -- coming from the Laravel framework.